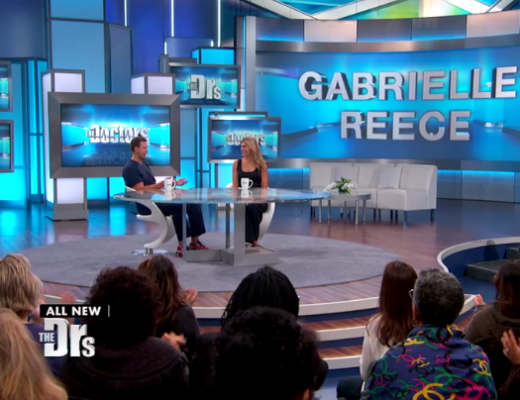 Gabrielle Reece’s Best Meal Ever! 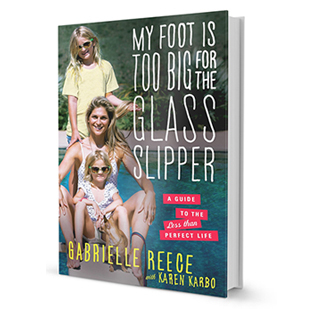 Long before she was a beach volleyball star, TV personality, or one of Elle magazine’s “Five Most Beautiful Women in the World,” Gabrielle Reece was a little girl in a kitchen on an island, helping her grandmother cook. At just seven years old, she was learning to make the meal that remains her favorite dish today: Seafood paella. Their recipe combined saffron, rice, garlic, and onions with plump shrimp and fresh mussels pulled straight from the crystal blue waters surrounding the family’s home on St. Thomas. (Reece was born in California but lived in the Caribbean until moving to Florida in the 11th grade.) The recipe was mild, not spicy, which allowed Reece to appreciate the seafood flavors and surprising textures of the dish. After moving to the mainland and becoming both a model and an accomplished athlete, Reece met her husband, Laird Hamilton, a champion big wave surfer who shares her experimental palate. 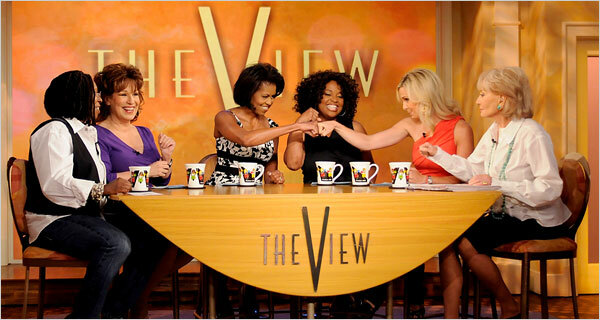 Together with their daughters, the family prepares their own version (WHICH IS DIFFERENT HOW FROM ABUELITAS? ), and always served with cooked banana and black beans on the side. Gabrielle Reece is a professional beach volleyball player, model, sportscaster and mom. 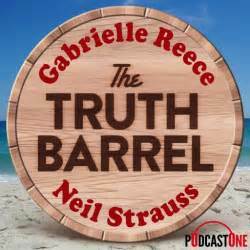 She runs gabbyreece360.com<http://gabbyreece360.com/>, a fitness training site for women where she posts workouts and meal ideas. Preheat oven to 450°F. Heat olive oil in heavy large pot over medium-high heat. Add chicken pieces and chorizo with salt and pepper and cook over medium heat until brown, about 7 minutes per side. Using tongs, remove chicken from pot. Add chopped onions and garlic to pot and sauté until beginning to brown, scraping up any browned bits, about 10 minutes. Stir in rice, and saffron. Add seafood stock and wine to pot and bring mixture to simmer. Remove from heat. Pour rice mixture into 15x10x2-inch glass baking dish. Arrange chicken, chorizo, shrimp, squid, clams mussels, scallops, and cod in rice mixture. Cover with foil. Meanwhile, season your shrimp with the juice of 1 lemon and a touch of salt and pepper. Broil on the highest rack for 5-6 minutes until slightly pink. Set aside. 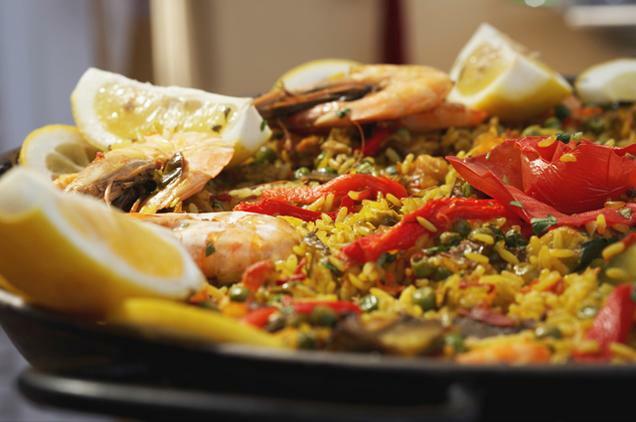 Bake paella until chicken is cooked through, clams and mussels open and rice is tender, about 45 minutes (discard any clams and mussels that do not open). Remove foil from baking dish. Let paella stand 10 minutes. Serve with lemon wedges.